An art therapy project created by a third-year mental health student has been improving the self esteem and social skills of patients while creating an opportunity for the nurse to observe and assess. Mark Collins, who is studying at the University of Ulster Magee, created a Tree of Regrowth and Recovery to display patients’ artwork during a six-week placement at Waterside Hospital, Western Health and Social Care Trust. 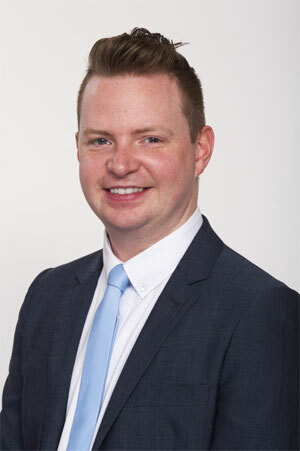 It earned him a final place in the Andrew Parker Student Nurse Award, in association with RCN Fellows, at the Nursing Standard Nurse Awards. Mark will find out if he has won at a ceremony at the Savoy Hotel, London, on May 1. During his placement in an acute mental health ward for over-65s, he noticed that there were no group activities for patients. Mark had switched from art studies to mental health nursing when his cousin committed suicide but thought he could use those skills to promote social interaction on the ward. ‘I thought this was an area I could develop - and using my art background I tried to create something that would motivate them to join in,’ Mark explains. He discussed his ideas with his mentor and the multidisciplinary team and explained why he thought it would benefit the service users. The ward manager gave him £20 from her kitty and he went on eBay, buying the materials he needed for just £10. ‘I also talked to the service users to see how they felt about it to ensure it was a positive experience from the beginning. They told me the things that made them happy were being around wildlife and nature - such as birds, so I used that as the project theme. ‘I decided to create a colourful tree surrounded by owls and birds - the Tree of Regrowth and Recovery - which was placed on the wall of the corridor. ‘Any finished artwork was placed around it to show what the service users had achieved,’ Mark explains. It became on ongoing project. Every time he was on shift, Mark would invite the service users to get together to paint or draw. ‘I encouraged the service users to focus on what made them happy. One said that to be happy you need to have hope so I said ‘why don’t you do something that brings that into it’ and he did. Another with late Parkinsons was really happy about his work and got friend to mount and frame it - there has even been a bit of competition about the display in a positive way! Being together and talking improved their social skills, and having a goal to work towards gave them a sense of achievement, which promoted their self-esteem. Feedback from the multidisciplinary team was very positive and participation was included in the care plans of service users who responded well to the project. His mentor, senior staff nurse Jackie O’Doherty, says Mark proved to be an exemplary student during his placement. 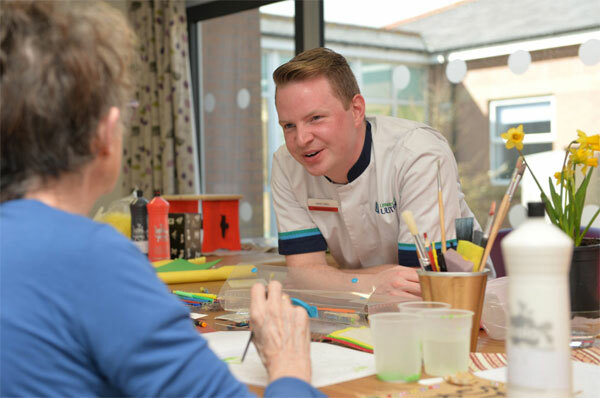 ‘Using his skills, manner and enthusiasm, he inspired and engaged with patients and service users to enable them to participate in art therapy sessions initially. He then developed the Regrowth and Recovery project. The judges also felt that Mark’s passion for mental health nursing really shone through and praised him for using his skills and knowledge outside nursing to benefit his patients. They were impressed that he had used art to open up communication as a nurse rather than as an art therapist. He is currently making a business case to extend it and intends to replicate the project where he can. ‘In this instance, my placement happened to be with patients aged over 65 and on an acute ward but it would work with all ages and in any setting. I would like to show other nurses how to deliver it. I facilitated it but the service users made it work.